-Disposable|Heroes- • View topic - Hey Derz, buy Xenoblade Chronicles! Hey Derz, buy Xenoblade Chronicles! Post subject: Hey Derz, buy Xenoblade Chronicles! So I told you for years to buy final fantasy 12 because it plays like 11, now Im telling you to buy Xenoblade Chronicles.. because it plays like FF12... AND it's directed by the same guy who directed xenogears, along with several members of the old xenogears team! So now you can't resist, your favorite old rpg combined with a combat system from that mmorpg that claimed your life. I believe there's a rom of it so you can just play it on pc for free if you have to be that way. Either way it's at the very top of my 'Derzerb should play this list.' which doesnt change for about a decade or so. 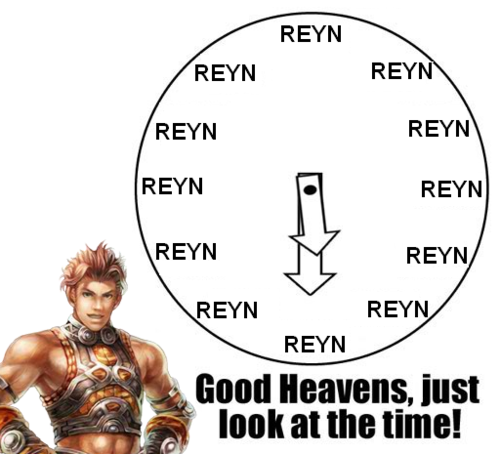 Post subject: Re: Hey Derz, buy Xenoblade Chronicles! While I appreciate you keeping me in mind ( eerily ) I have no consoles. sir. All I have is my trusty amd dual core pc and amd 6450 (no fan) on linux (running via usb at this moment). How is your cat btw?! Yeah, I've always been a pc guy even when I had a PS2, I think because at the time of the PS2 online gaming was really the PC's domain, and keyboards just rock, don't you agree? My cat is not doing too well, doc thinks she has lymphoma of the intestine so just making her feel comfortable and giving her anti-inflammatory medicine. Because of her age entering treatment isn't really advised. Luckily the medication makes her eat lots so thats a plus, now if she only gained weight. Thanks for asking. Xenoblade chronicles is in my backlog of games...couple of hours in. I've already played through the game twice. Quite possibly my favorite game of all time. I LOVE IT.